James Smylie, RG 414 Biographical File. On January 5, 2019, one of the standard bearers for Presbyterian history, James Hutchinson Smylie, joined the great cloud of witnesses who have completed the race. As we join with family, friends, and colleagues in remembering his life and a ministry well-done during his memorial service on February 1, we remember Jim for his prodigious and excellent scholarship that has invited generations of Presbyterian laity, pastors, and scholars to a deeper understanding of the deep connections between our faith and our world. We remember him for his humor and humanity as well as his habit of bringing out the best in those around him, all grounded in his strong faith and commitment to our particular arm of Christ’s church. 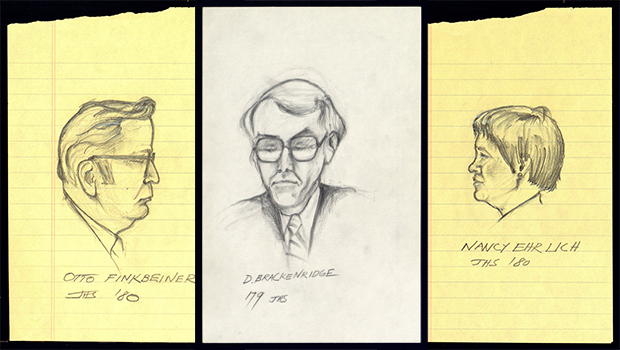 Sketches of Journal and PHS personnel by James Smylie, 1970s-1980s. Click image for full sketches. 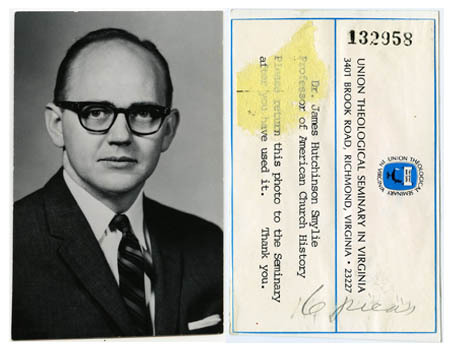 “Jim Smylie was the dean of American Presbyterian history for a very long time. And he will remain as such, joining others whose scholarly contributions helped us understand why these ‘few of the folks of faith’ had such an impact on the global community. “Jim believed strongly that our history had to be usable. He consistently displayed a deep concern for making the lessons of history available to grassroots congregations. 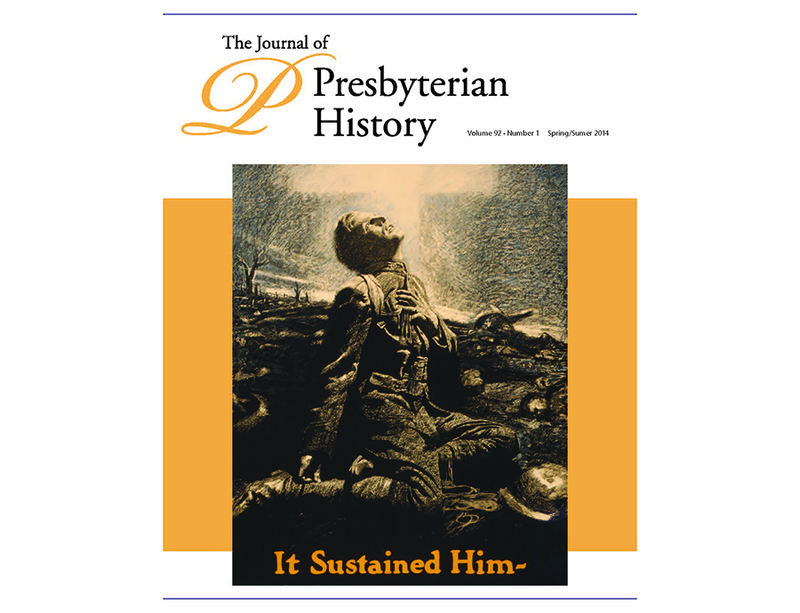 This vision was the driving force behind his long tenure as the Editor of The Journal of Presbyterian History. While highly regarded and respected by the academic community, he never lost sight of the fact that Presbyterian history had to be understood by the church at large. “His leadership as JPH Editor focused on identifying those significant historical issues and events that informed the present. Thus emerged “special issues” of The Journal that focused on Presbyterian participation in the American Revolution, the Constitution, ecumenism, the foreign and domestic mission efforts, the First and Second World War, and the development of the American western frontier, Progressivism, and the struggle for Civil Rights, among many other important topics and themes. 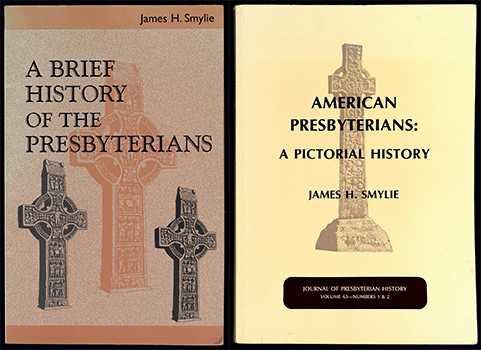 Two of James Smylie's most popular works on American Presbyterian history. “Jim Smylie was a bundle of energy and creativity. Very organized, but very creative. He was also a very southern gentleman. By that I mean, he wanted to know who your kin were and how they were doing—and always asked about family before he would introduce the topic of the day. He was fiercely loyal to the PHS northern stream and to the PC(USA). “Jim Smylie was a first-rate minister of the Gospel! Jim taught, preached, and lived an exemplary Christian life. His good humor and lack of pretention might fool you into underestimating his scholarly acumen and rigor in discerning crucial elements in the Church and the world. Jim challenged others, including me, to follow him in discipleship. “Jim and Elizabeth provided profuse hospitality for us as students in the 1960s. Jim permitted me as an entering student to join a senior seminar he taught on American Christianity. When I turned in a paper he even asked if I would like to publish it. Flattered, I said, ‘sure,’ not knowing he would work me through five additional drafts before he was willing to send it to The Journal of Presbyterian History, where Jim Nichols was then editor. When I was going to the final legs of the Selma-Montgomery March, Jim gave me $75 (a lot of money to us then, and even to the Smylie family) to help pay for it. Whenever I wrote something for the JPH or other Presbyterian media, Jim (by then editor) sent me a detailed critique if not a call to rewrite it. “When I first returned to Union Seminary in Richmond as President, before the federation with the Presbyterian School of Christian Education, some faculty tried to ostensibly ferret out heretics and liberals, and in the ensuing melee Jim Smylie pointed us all toward the irenic and generous interpretation of Reformed Christianity. He related the many times the Reformed had taken courageous stands on behalf of progressive issues and racial and gender inclusivity. When we got the rare opportunity to team-teach, Jim would keep bringing in examples and texts that enlarged our vision, increased our sensibilities, and assisted our witness. As these heartfelt remembrances show, Jim was an accomplished historian, a person of deep faith, and a believer in the power of story. At the Presbyterian Historical Society, hardly a day goes by when his books and articles are not referenced. Through his scholarship, we all have the chance to learn from him for a long time to come. 13 hours 58 min ago. Today’s #HistoricalFigureFriday honors Reverend James Patriot Wilson. Born in 1769 in Lewes, Delaware Wilson went on to graduate from the University of Pennsylvania in 1788. He initially studied law and was admitted to the Bar but the unexpected death of both his wife and brother led him to a religious path. He was ordained as pastor of the Presbyterian Church in Lewes in 1804 and in 1806 he accepted a call to lead the First Presbyterian Church in Philadelphia. He resigned as a much celebrated pastor in the spring of 1830 before he died December 9th 1830. Our portrait of Reverend Wilson was painted in 1807 by none other than James Peale the younger brother of Charles Willson Peale. This oil on canvas painting represents one of the many large portraits James Peale completed after he shifted away from miniatures. To see more works by James Peale visit PAFA The Pennsylvania Academy of the Fine Arts or the Philadelphia Museum of Art.